Use this ricotta cheese and spinach filling for fresh ravioli, tortellini, and other filled types of fresh pasta. Sources include "How to Cook Everything" by Mark Bittman, reprinted with permission. Plunge the spinach into a large saucepan of boiling salted water to blanch it. Remove it 30 seconds later. Drain, cool, and chop finely. 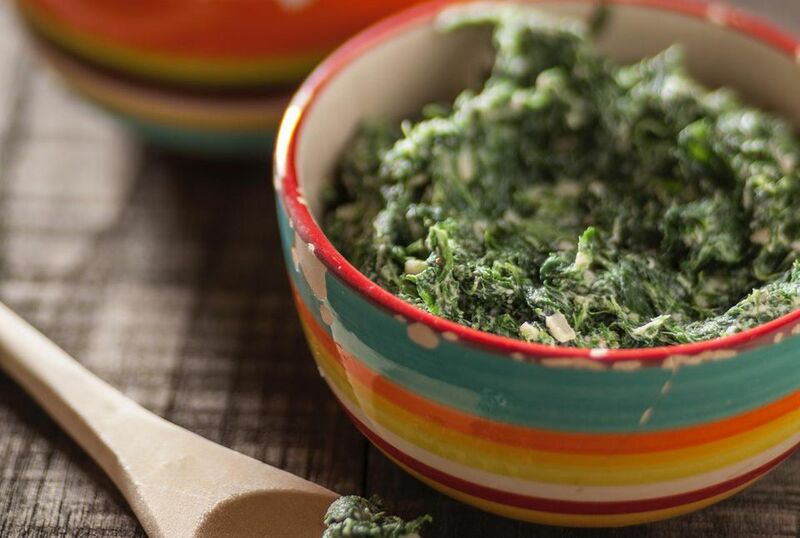 In a medium bowl, combine the spinach with the egg, ricotta cheese, Parmesan cheese, pepper, and nutmeg. Taste and adjust seasonings if necessary. Use to fill the pasta immediately, or refrigerate for up to 1 day before using. Chicken can also be used as a filling in cappelletti. These "little hats" are filled with a paste of ground chicken, ricotta and Parmesan cheeses and lemon zest. The unusual filling of squash and pear in ravioli combines the earthy and sweet flavors of butternut squash and pears that are stuffed inside fresh ravioli pasta. A butter-and-herb sauce dresses the ravioli that is finished with a sprinkle of pecans and grated cheese. This also is well-made with Swiss chard or kale in place of spinach. Omit the ricotta cheese. After blanching and chopping the spinach, heat 2 tablespoons butter or olive oil in a large skillet with 1 teaspoon minced garlic. When the garlic softens, stir in the spinach. Season with salt and pepper, then cool and stir in 1 large egg, 1 cup freshly grated Parmesan, and 1/2 teaspoon freshly grated nutmeg. Stir in 2 tablespoons minced prosciutto or pancetta that has been cooked along with the garlic. Adjust the seasonings if necessary. Let cool, and use to fill pasta or refrigerate for up to 1 day.